The Tissot Glamorous certainly lives up to its name. 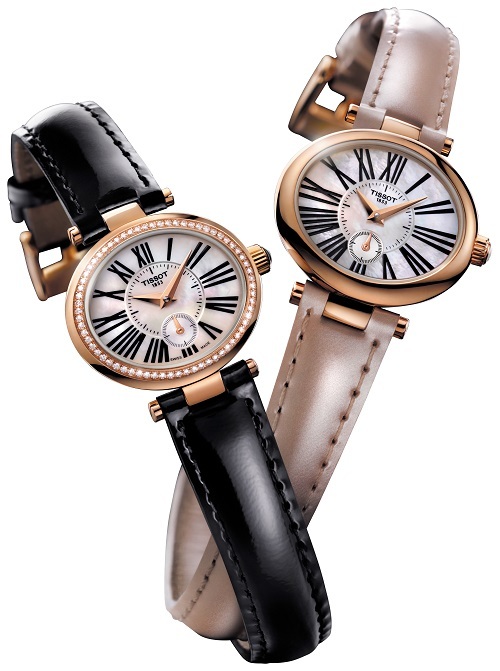 It is a true lady’s watch with an elegance which can only come from a vintage design. The small oval 18-carat gold case, which encloses the mother-of-pearl dial with a minute track surrounded by beautiful old style Roman indices, further adds to the luxurious aspect of the timepiece. The Tissot Glamorous is the perfect watch if you are looking for something special, whether it is for a gift for a loved one or a real treat for yourself. This piece will most definitely convey class and sophistication to anyone who wears it.